The Good Place is an American fantasy comedy television series created by Michael Schur. The series premiered on September 19, 2016 on NBC. 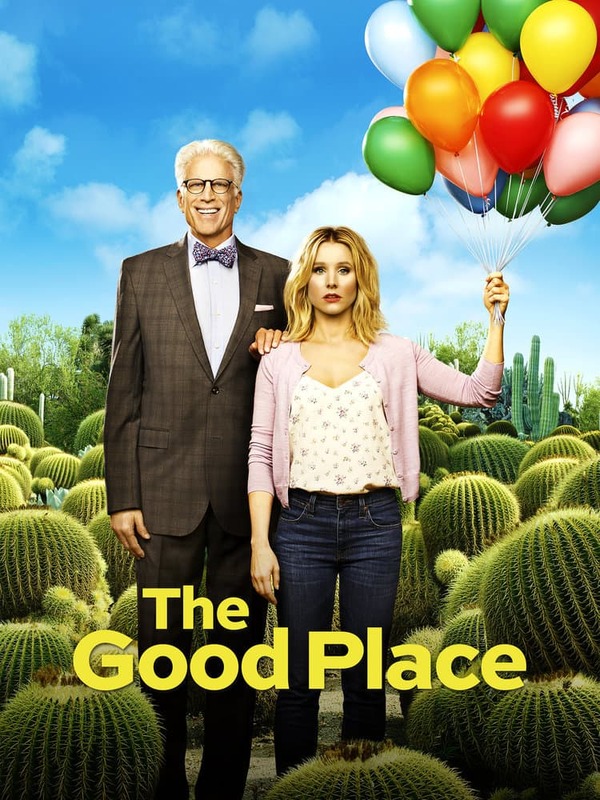 The series focuses on Eleanor Shellstrop (Kristen Bell), a woman who wakes up in the afterlife and is introduced by Michael (Ted Danson) to “The Good Place”, a Heaven-like utopia he designed, in reward for her righteous life. She realizes that she was sent there by mistake, and must hide her morally imperfect behavior and tries to become a better person. The show is currently in it’s second season. This is SUCH a good show! Based on the plot description itself it doesn’t sound that interesting to me, but the characters that they’ve created and the chemistry between them makes it amazing. Janet is the best. LOVE THIS SHOW!!! So forking good! I LOVED season 1. Season 2 so far has just been eh to me. Hopefully when season 2 comes back next year, the 2nd half is better. I downloaded the first season because of this thread and I’ll likely binge the entire thing. NBC on Tuesday announced that it’s renewing the Kristen Bell/Ted Danson comedy for a third season. The Good Place aired its fall finale on Nov. 8 and will return for the second half of Season 2 on Jan. 4 (8:30/7:30c). I wasn’t sure if this would get a third season or not, happy we will be getting more! I really don’t know how I feel about a Season 3. Season 2 has SERIOUSLY been lacking for me. I’ve been thinking about cutting it a few times this season. I’ve been incredibly happy with season two actually. Was it as good as season one? That’s subjective and obviously most shows lose their initial sheen after the first season. However, the season two finale left me craving so much more in the sense that I feel like I was cheated of content. I’m interested in where season three will take us and how long they’ll milk the show for.